As Liner Legal wrapped up the year, we squeezed in a few more opportunities for community involvement during December 2017. Michael Liner and Andrew November, participated in educating community members, clients, as well as fellow lawyers in the Cleveland area. Local organizations, as well as media outlets provided opportunities for involvement. Liner Legal is thankful to be part of an active community, focused on spreading awareness and increasing knowledge on various legal topics. 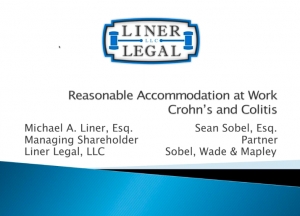 Attorney Michael Liner presented at an educational webinar for the Crohn’s & Colitis Foundation – Northeast Ohio Chapter during IBD Awareness Week. Michael spoke on how employees have the right to request reasonable accommodations at work. This means an employee, with a disability, makes a written or spoke reasonable request to their employer. As a result, the request allows for an accommodation that would result in equal work opportunities. In addition, read the full article online via The Plain Dealer. 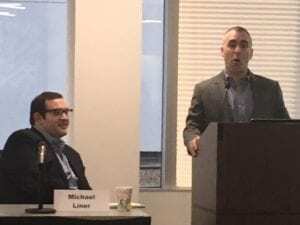 On December 19, both attorneys Michael Liner and Andrew November presented on Social Security disability at the Cleveland Metropolitan Bar Association’s Continuing Legal Education Year End Update Seminar. 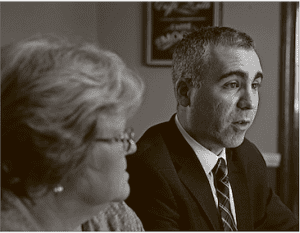 Liner Legal enjoys any chance we can get to spread awareness of the importance of Social Security disability.